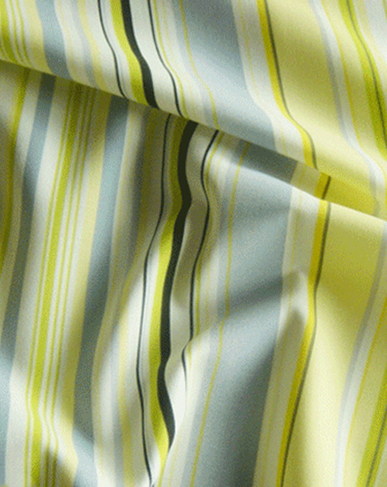 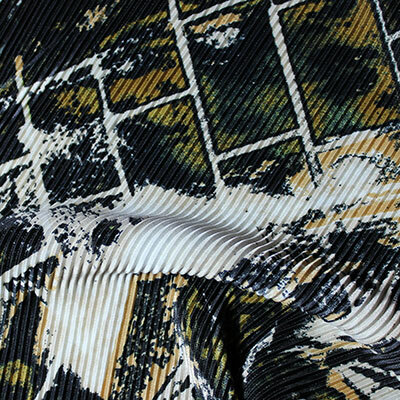 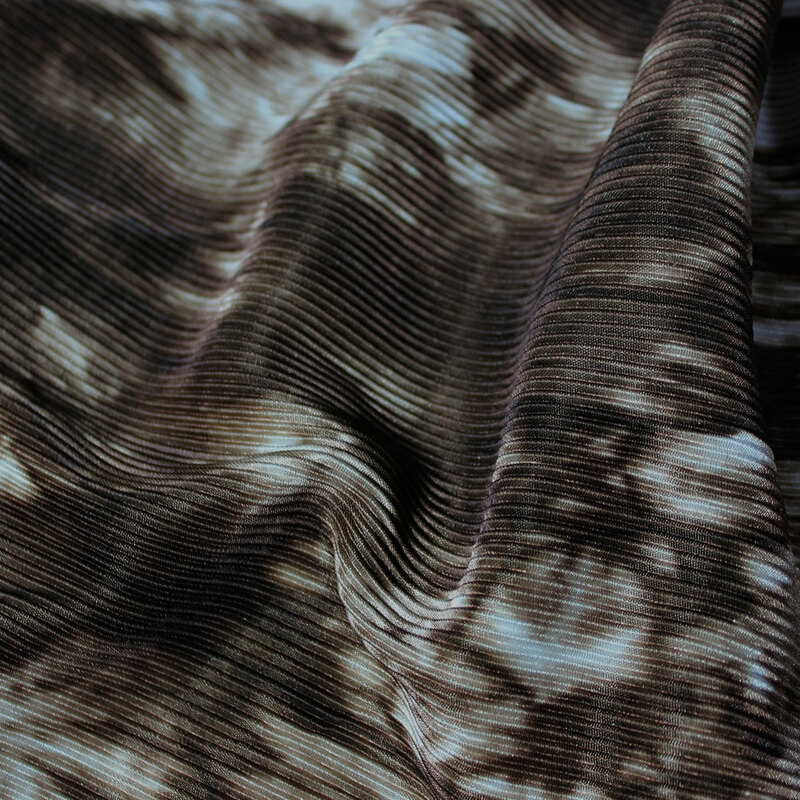 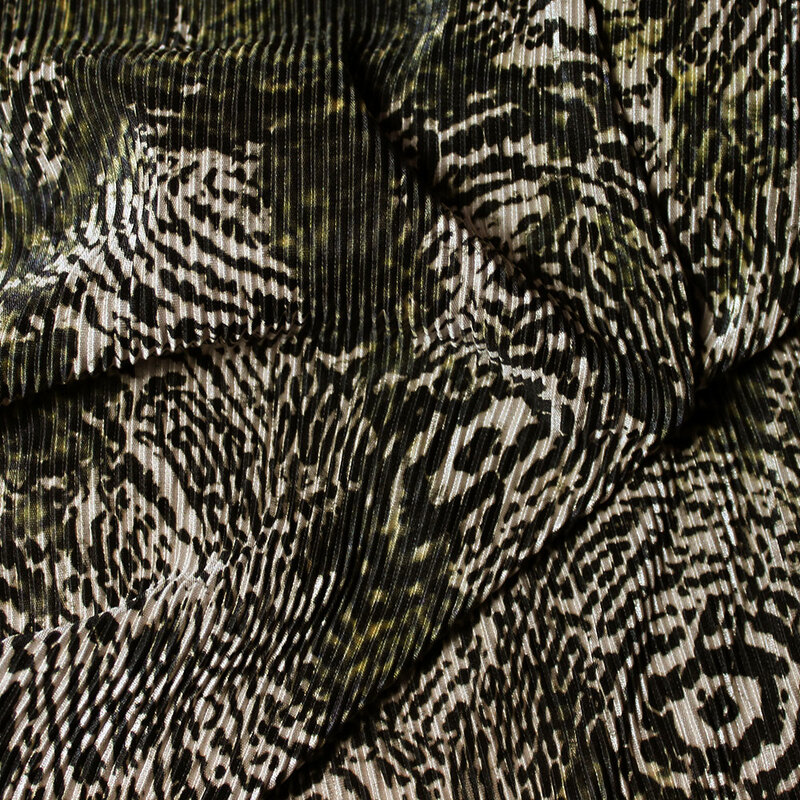 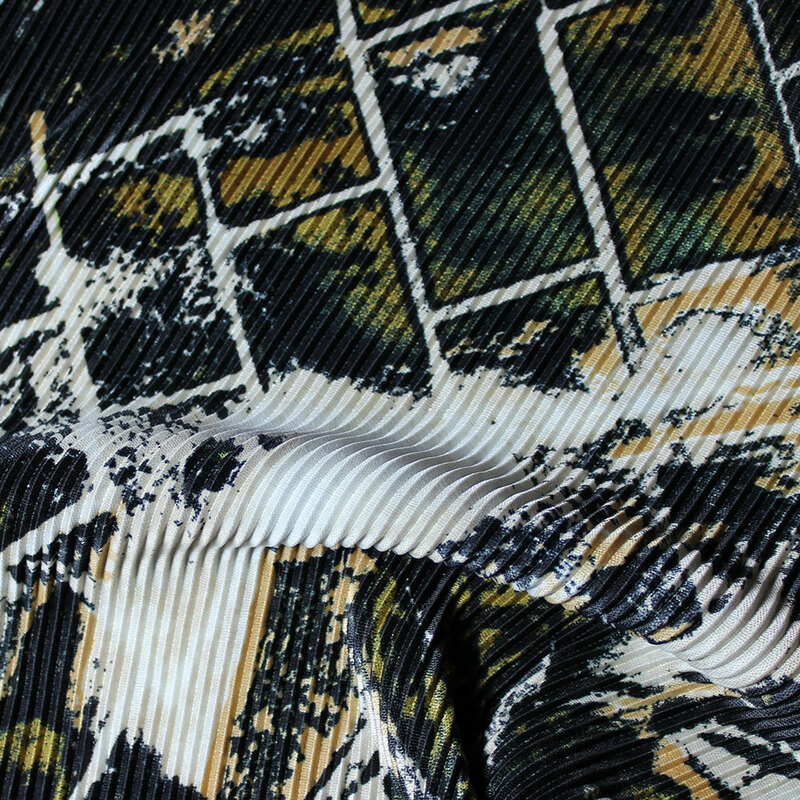 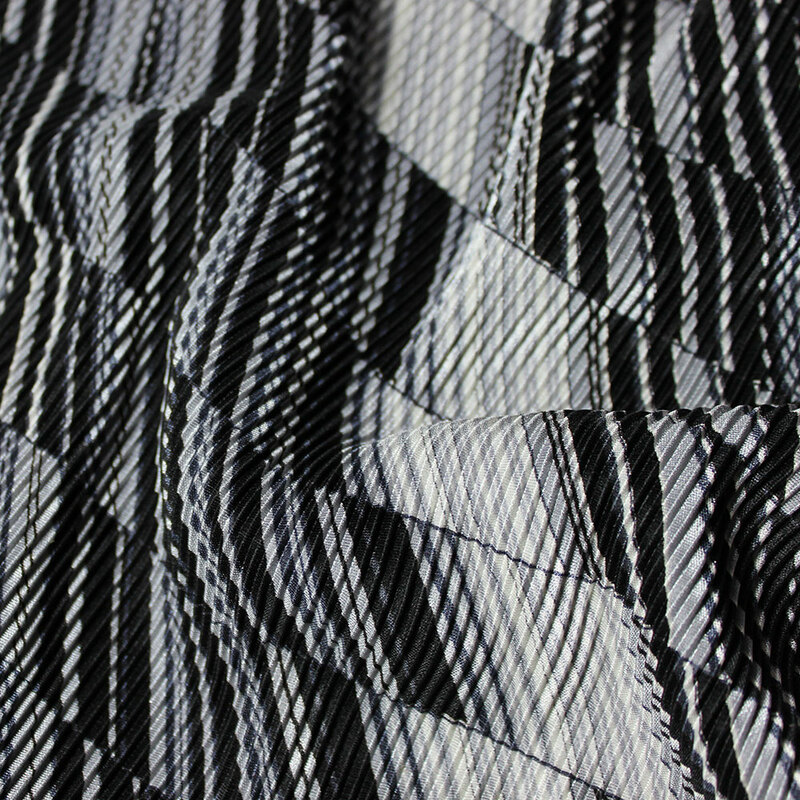 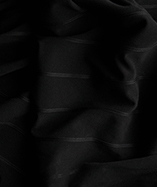 Get a sample of "Swirls and Squares"
100% Polyester, pleated fabric. 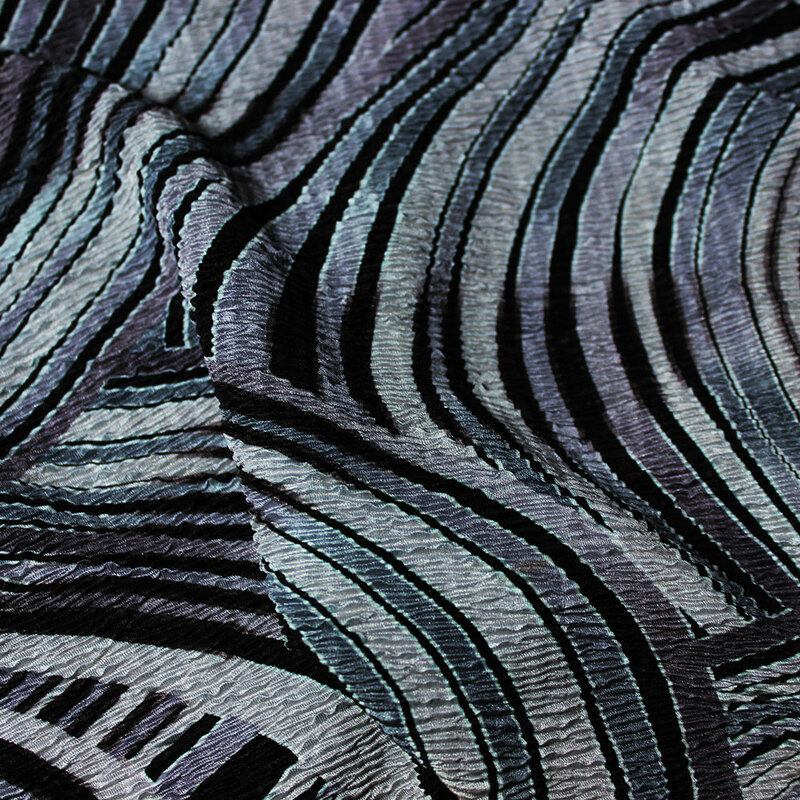 Swirls & Geometric Patterns. 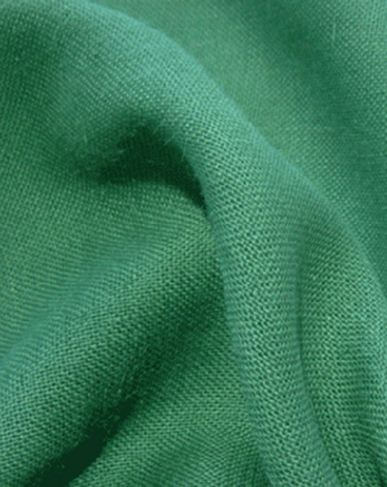 Ideal for dresses, skirts, blouses, womens wear. 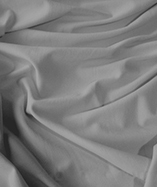 Light and airy fabric, cool and comfortable. 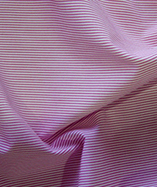 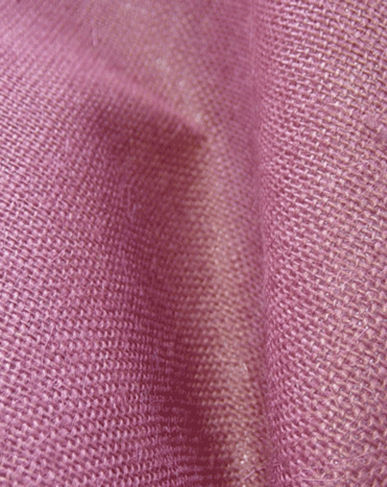 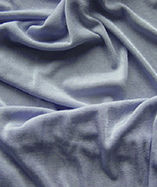 A smooth and tactile fabric given texture with pleats.